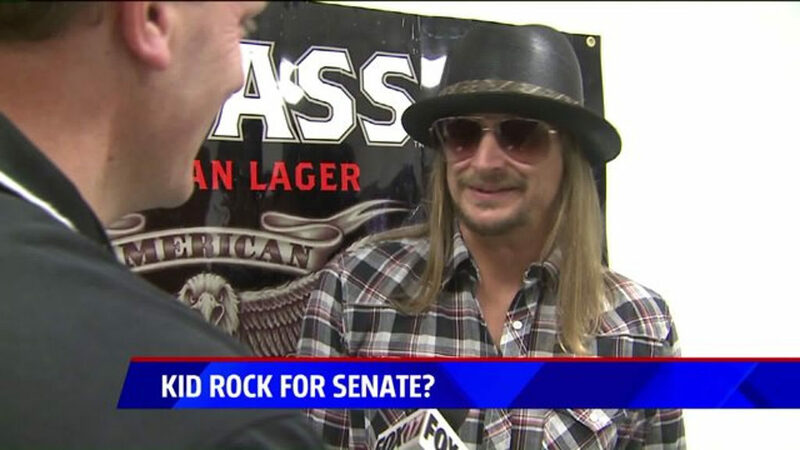 If Ritchie were to submit enough valid signatures to make the ballot and indicate that he wanted to be listed as “Kid Rock,” the Michigan Bureau of Elections staff would have to research the question of whether that name would be allowed. At an initial glance, Ritchie’s stage name isn’t an obviously acceptable one under the state’s criteria. According to Michigan law via the “Affidavit of Identity and Receipt of Filing,” there are five stipulations regarding the manner in which a candidate can have his or her name printed on the ballot. In a July 25-27 automated poll by the Trafalgar Group, a Republican-affiliated polling firm, Ritchie led Stabenow 49-46 percent in a hypothetical general election matchup. But the fact that his stage name was included to introduce him to respondents helped boost his standing. Ritchie also led the hypothetical GOP primary with 50 percent against former Trump campaign state co-chairwoman Lena Epstein (9 percent), former Army Ranger/businessman John James (7 percent), and retired state Supreme Court Justice Bob Young Jr. (6 percent). Kid Rock’s name ID advantage certainly factored into his early advantage. Stabenow technically represents a “Trump state” after the former reality show host carried the Wolverine State 47.6 percent to 47.3 percent last fall, but Republicans have a steep hill to climb to prove that victory was the new rule rather than an exception. Republicans haven’t won a Senate race in Michigan since 1994. 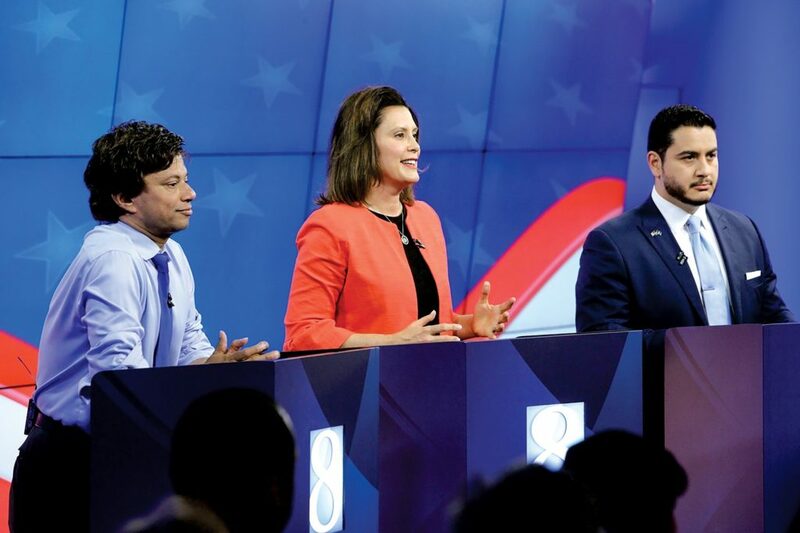 Inside Elections currently rates the Michigan Senate race Solid Democratic, as the Republican field and national political climate take shape. Michigan has traditionally been a blue state, but Republicans have done very well during the Republican sweeps in midterm elections in 2010 and 2014. 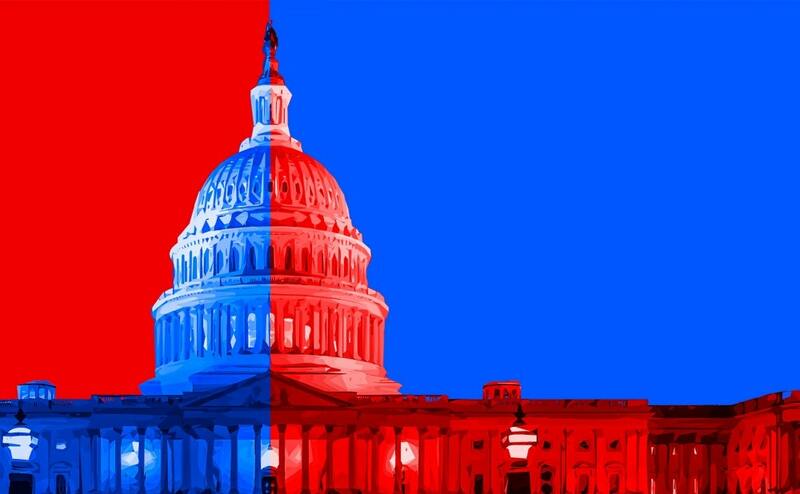 The state then went to Donald Trump in 2016, but that is more likely due to the problems with Hillary Clinton and her campaign as opposed to the state now leaning Republican. Clinton also hurt down ticket Democrats in 2016, but having Donald Trump in the White House without having Hillary Clinton on the ballot in 2018 should help Democrats in Michigan and other states. In an election this close, it is certainly possible that changing anything which hurt Clinton could have changed the outcome, but that misses the point that Clinton put herself in this situation. She made many mistakes, which Nate Silver acknowledged when he said that the Comey letter probably cost her the election. More importantly, the letter and Wikileaks only harmed Clinton because of her actions. 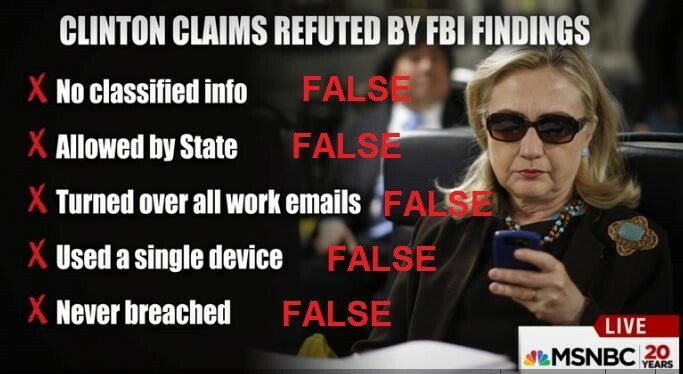 James Comey would not have been investigating Clinton in the first place if she had not grossly violated the rules regarding email and hadn’t handled classified information in a careless manner. The investigation further hurt Clinton as Comey’s report demonstrated that she had repeatedly lied in her public statements about the matter. This gave further credence to her reputation of both seeing herself above the law and of being dishonest. 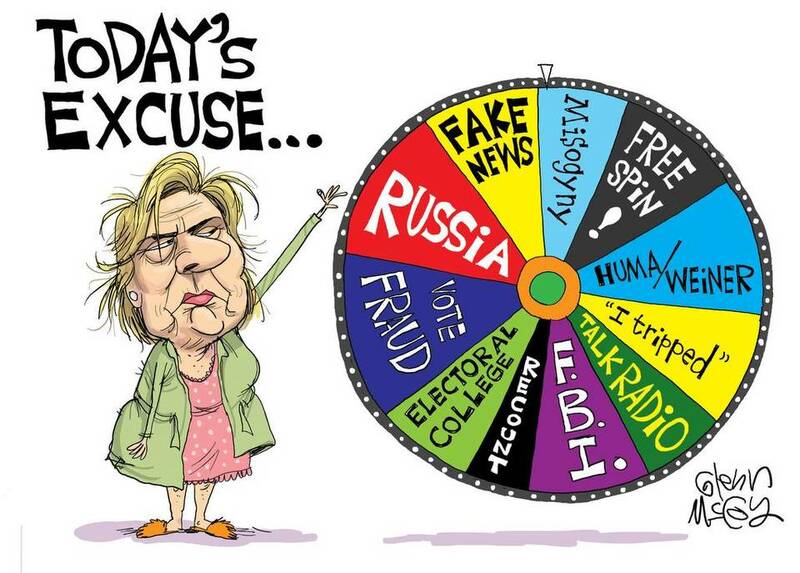 She further hurt herself when she repeatedly lied about what James Comey had reported. The Wikileaks releases of hacked email hurt because it verified criticism that the DNC had violated its own rules in rigging the nomination for Clinton, and in showing Clinton’s dishonesty. There has been absolutely no evidence that anything released by Wikileaks was not accurate information. Hillary Clinton should never had been nominated by a major political party considering the scandal she was involved in, and her refusal to answer questions about it honestly. If the scandal exploded shortly before the election, which could have happened in a number of other ways if not for the Comey letter, don’t blame the messenger. 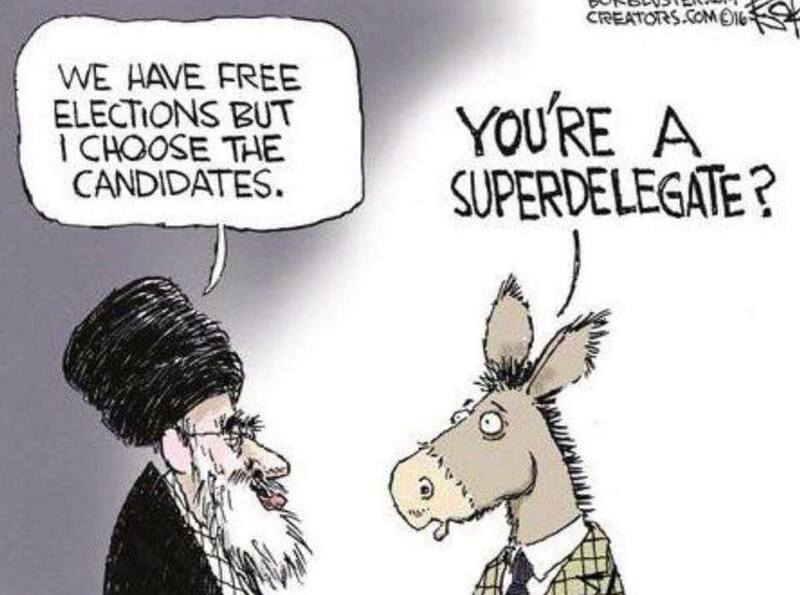 The fault belongs to Hillary Clinton and those who supported her for the nomination. Even if Comey did cause a drop for Clinton in the polls, she is responsible for how she campaigned, including in the final days of the campaign. For example, Clinton made serious mistakes in Michigan, as I have previously discussed. Plus, in the final days, when both candidates advertised heavily, Clinton was outsmarted yet again by Trump. I saw ads from Trump with promises (regardless of how dishonest) that he could create jobs. The ads I saw from Clinton were based on personal attacks against Trump, but gave no reason to vote for her. Her negative campaign against Trump, even if generally factually true, backfired against her. Hillary Clinton very well could have blown the election in the final days without Comey’s letter or Wikileaks. And if we had ham, we could have ham and eggs, if we had eggs. 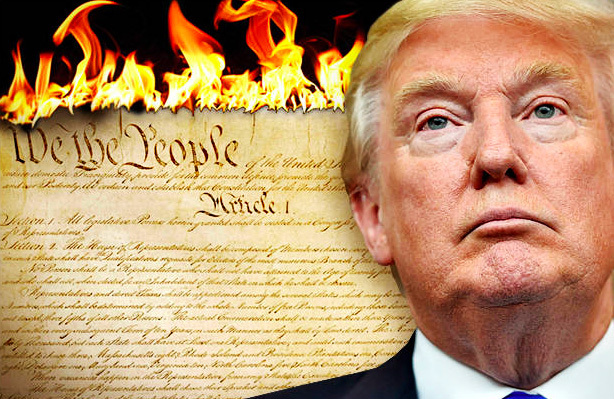 Apologies for the pesky constitutional Tuesday-in-November requirement, or that your own glaring weaknesses as a candidate came forcefully to bear in their most effective moment. Worked out great for all of us. No Hillary, 2016 was all about Americans forming a resistance to you. This includes the economic issues which dominated the campaign, and the Bush/Clinton policies which have put this country into a state of perpetual warfare and accelerated the growth of the surveillance state. Donald Trump was elected because the two party duopoly only gave him as an alternative to you. While defeating the Bushes and Clintons was important, Trump was the wrong answer. Now we need a resistance to both Trump and Clinton. 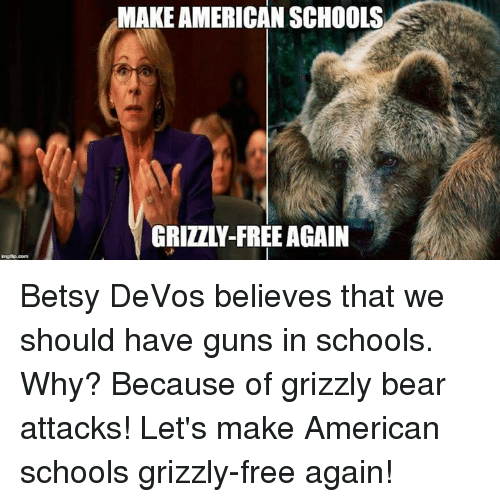 Betsy DeVos was confirmed as Education secretary today, joining Donald Trump’s Bizarro World cabinet despite the lack of any experience in education beyond lobbying against it, along with massive conflicts of interest. 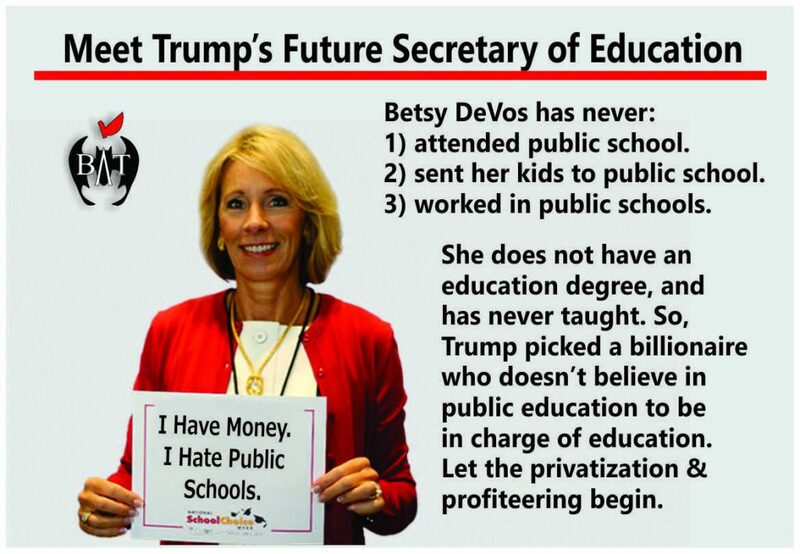 I imagine the next step will be to replace public education with vouchers for Trump University. But DeVos and her family have stood in the way of improving what we have. They’ve stood for the charter industry and its middling results, over our kids. I’m certain she’ll try to make the nation’s charter landscape look more like the chaos we face here in Detroit, and less like it does in states like Tennessee or Massachusetts or Maryland — all much better performers who have tighter reins on charter creation and proliferation. 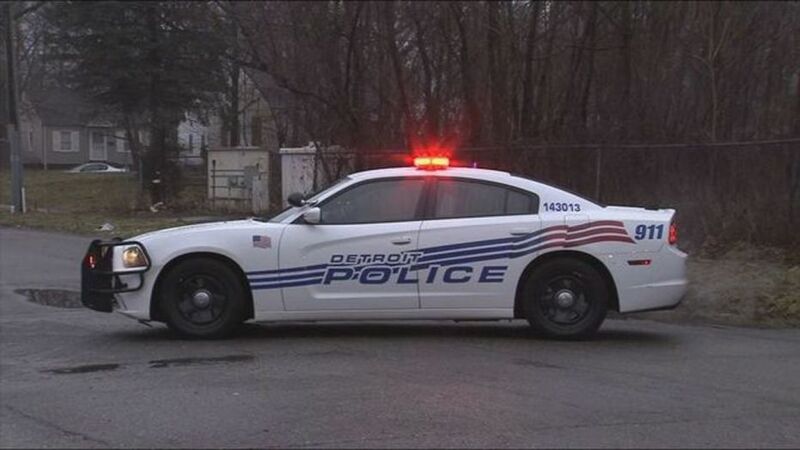 Her lobbying hasn’t been good for Detroit, or Michigan. It won’t be good for the nation. As former ethics counsels to Presidents Obama and George W. Bush, we’ve reviewed more than our share of ethics filings for cabinet nominees. Seldom have we seen a worse cabinet-level ethics mess than that presented by Betsy DeVos, President Trump’s choice for education secretary. Her extensive financial holdings present significant—and unresolved—conflict of interest issues. She also failed to provide the Senate with accurate information about her involvement with outside organizations. We have regretfully come to the conclusion that these concerns disqualify DeVos for that cabinet position. …DeVos’ failure to meet even minimum standards leaves us with no choice but to speak out. In her hearing, DeVos also made claims than strain credulity. For example, she was asked under oath about tax filings that listed her as vice president of the Edgar and Elsa Prince Foundation. The Prince Foundation, established by her parents in 1989, reportedly made significant contributions to anti-LGBT groups over the years, including at least $5 million to conservative religious groups that support conversion therapy. DeVos denied that she had that role at the Prince Foundation, and when confronted in her hearing by Sen. Maggie Hassan (D-N.H.) with actual forms indicating she was an officer, DeVos attributed it to a “clerical error”—one that persisted for 17 years. Betsy DeVos fits in this cabinet purely based upon her opposition to the government programs her department deals with, and a history of massive contributions to Republican candidates. It is certainly not due to any qualifications in education. “I come to the floor to announce a very difficult decision that I have made, and that is to vote against the confirmation of Betsy DeVos to be our nation’s next secretary of Education,” Collins said from the Senate floor. Murkowski, speaking after Collins, said she had too many concerns to back DeVos. “I have serious concerns about a nominee to be secretary of Education … who has been so immersed in the discussion of vouchers,” Murkowski said. But Republicans said privately that Collins and Murkowski waited to announce their opposition once the rest of the votes for DeVos were locked up. They said that the rest of the GOP is firmly behind DeVos. “She has the votes and will be confirmed,” said a senior GOP aide. DeVos needs a simple majority on the Senate floor, and there are 52 Republicans. If there is a tie, Vice President Mike Pence will be the deciding vote. That would make history: According to a list provided by a Democratic aide, a vice president has never broken a tie on a Cabinet confirmation vote. We believe that Mrs. DeVos’s commitment to education is limited to her advocacy of, and financial contributions to, religious and charter schools. Having the financial resources to promote one’s ideological point of view, and endorse elected officials who share that ideology, is not equivalent to the preparation that comes from being an educator or educational administrator. 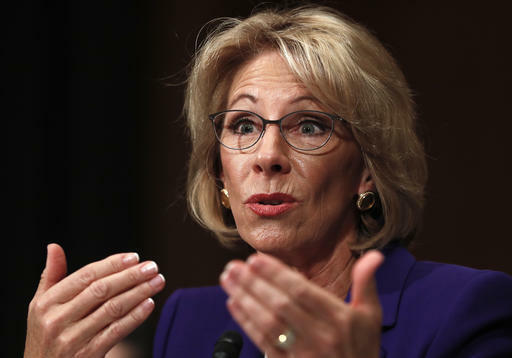 Finally, in the first day of her confirmation hearing, Mrs. DeVos indicated a lack of support for federal policies regarding educational systems that receive public funding. This is especially concerning given that the Individuals with Disabilities Education Act and Title IX, which ensure that all students’ educational experiences are free of discrimination that impedes learning, are not of value to Mrs. DeVos. “Our undergraduate education prepared us to be engaged and informed citizens who support public servants who seek to serve effectively and competently. This is precisely why we oppose the nomination of our fellow alumna, Betsy DeVos, for the position of United States Secretary of Education,” according to the letter.